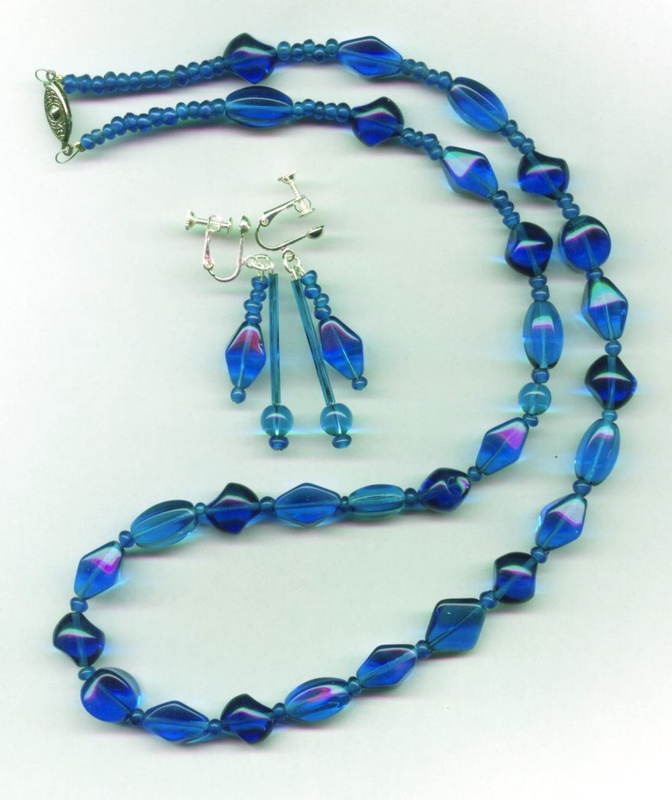 Necklace and earrings. All one colour, but with variations in shape. Again, this one is slightly not quite the right colour, the blue is less royal and more cyan, but it still gives an idea.